GRAHAM G TOOLE is a dedicated family man who describes his career as one long journey. 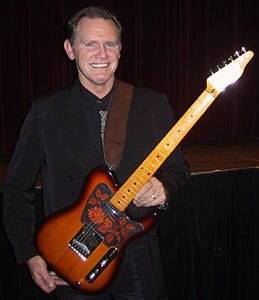 Although he often performs with his family band, Graham appears solo on the Tomkins Showcase Volume One CD. Ain't It A Wonder, a song describing how he first met his wife, is from the forthcoming album Love Song Journey, produced by Rod McCormack.